At P.C.L. 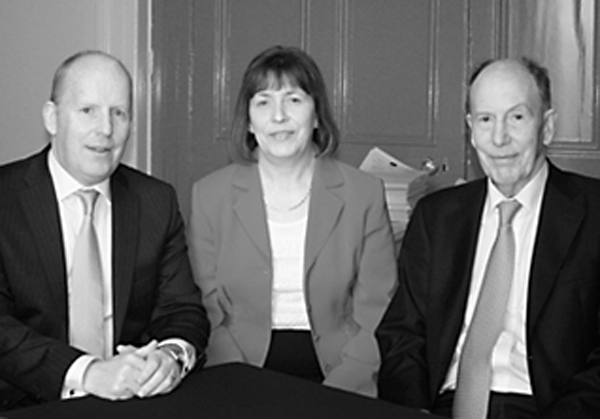 Halpenny & Son we provide a wide range of legal services to the business and private client. Having been in practice since 1929, our client profile comprises of many commercial businesses and corporate entities and a large quantity of first and second generation private clients. The majority of our work comes from existing clients with repeat or renewed business, or new clients being referred to us by word of mouth. We provide a hands-on personal service and all work is performed or supervised at Partner level. Commercial contracts, business law and consultancy advice, contentious and non contentious commercial matters, tax, company law, buying and selling businesses and companies, company reorganisation and restructuring. Acquisitions and Disposals of commercial property, land and buildings, landlord and tenant, granting and taking commercial leases, licences, dealing with break options, surrenders and tenant's statutory rights, advising on schedules of dilapidations, repairs and all types of commercial property disputes and litigation, stamp duty, capital gains tax and vat. P.C.L. Halpenny & Sons can arrange acquisitions and disposals of commercial property, land and buildings, landlord and tenant and many other services related to this area. P.C.L. Halpenny can provide services for the buying and selling residential property for owner occupiers, buy to let, moving home, trading up or down, and first time buyers as well as many other contractual services. P.C.L. Halpenny Solicitors can offer advice on Wills, Estate planning, tax planning and preparation and execution of Wills. PCL Halpenny Solicitors offer proving Will of the deceased and extracting Grant of Probate. Preparing Inland Revenue Affidavit for Revenue Commissioners and complying with all requirements. PCL Halpenny Solicitors can help resolving commercial disputes without recourse to the High Court, including mediation, arbitration or other forms of alternative dispute resolution. Personal Injury Claims arising from road traffic accidents, accidents/injuries at work, public liability and occupiers liability claims, medical clinical negligence claims and many other areas. PCL Halpenny Solicitors offer comprehensive debt collection for companies and businesses, including bringing debt recovery proceedings in the District Court, the Circuit Court or the High Court. PCL Halpenny Solicitors offer comprehensive advice and assisting both employers and employees in relation to Employment Law matters, including disciplinary proceedings, Employment Appeals Tribunal, unfair dismissal, redundancy and equality law.